Cachexia or wasting syndrome is loss of weight, muscle atrophy, fatigue, weakness, and significant loss of appetite in someone who is not actively trying to lose weight. The formal definition of cachexia is the loss of body mass that cannot be reversed nutritionally: Even if the affected patient eats more calories, lean body mass will be lost, indicating there is a fundamental pathology in place. Cachexia is seen in patients with cancer, AIDS, chronic obstructive lung disease, congestive heart failure, tuberculosis, familial amyloid polyneuropathy, mercury poisoning (acrodynia) and hormonal deficiency. It is a positive risk factor for death, meaning that if the patient has cachexia, the chance of death from the underlying condition is increased dramatically. It can be a sign of various underlying disorders; when a patient presents with cachexia, a doctor will generally consider the possibility of cancer, metabolic acidosis (from decreased protein synthesis and increased protein catabolism), certain infectious diseases (e.g., tuberculosis, AIDS), chronic pancreatitis, and some autoimmune disorders, or addiction to amphetamines. Cachexia physically weakens patients to a state of immobility stemming from loss of appetite, asthenia, and anemia, and response to standard treatment is usually poor. The exact mechanism in which these diseases cause cachexia is poorly understood, but there is probably a role for inflammatory cytokines such as tumor necrosis factor-alpha (TNF-α), which is also nicknamed cachexin (also spelled cachectin) for this reason, Interferon gamma (IFNγ), and Interleukin 6 (IL-6), as well as the tumor-secreted proteolysis inducing factor (PIF). Those suffering from the eating disorder anorexia nervosa appear to have high plasma levels of ghrelin. Ghrelin levels are also high in patients who have cancer-induced cachexia. Cachexia is often seen in end-stage cancer, and in that context is called "cancer cachexia." It was also prevalent in HIV patients before the advent of highly active anti-retroviral therapy (HAART) for that condition; now it is seen less frequently in those countries where such treatment is available. It is this characteristic that prompted a common African name for AIDS, "slim disease". In those patients who have congestive heart failure, there is also a cachectic syndrome. Also, a cachexia co-morbidity is seen in patients that have any of the range of illnesses classified as "COPD" (chronic obstructive pulmonary disease), particularly emphysema. Some severe cases of schizophrenia can present this condition where it is named vesanic cachexia (from vesania, a Latin term for insanity). In each of these settings there is full-body wasting, which hits the skeletal muscle especially hard, resulting in muscle atrophy and great muscle loss. In most cases cachexia can be reversed with just eating. However, when presenting comorbidly with malabsorbtion syndrome, (as seen, for example, in Crohn's Disease or Celiac Disease) simply consuming more food is not sufficient to reverse wasting and the malabsorbtion must be treated before the patient will be able to stabilize body mass. Currently, there are widely accepted drugs to treat cachexia and there are no FDA-approved drugs to treat cancer cachexia. Cachexia may be treated by steroids such as corticosteroids or drugs that mimic progesterone, which increase appetite, may reverse weight loss but have no evidence of reversing muscle loss. Medical marijuana has been allowed for the treatment of cachexia in some states such as Nevada, Michigan, Washington, Oregon, California, Colorado, New Mexico, and Arizona. A 2007 systematic review of n-3 fatty acids and cachexia found seventeen studies, eight of which were high-quality. It concluded that there was evidence that oral n-3 fatty acid supplements benefit cancer patients, improving appetite, weight and quality of life. A 2009 trial found that a supplement of eicosapentaenoic acid helped cancer patients retain muscle mass. In a study published 2010, researchers demonstrated a link between cachexia and activin and myostatin activity, and successfully reversed the effects in mice, by inhibiting that activity through treatment with a soluble version of the ActRIIB receptor (sActRIIB). Although often associated with preterminal patients bearing disseminated disease, cachexia may be present in the early stages of tumor growth before any signs or symptoms of malignancy. A decline in food intake relative to energy expenditure (which may be increased, normal, or decreased) is the fundamental physiologic derangement leading to cancer-associated weight loss. In addition, abnormalities of host carbohydrate, protein, and fat metabolism lead to continued mobilization and ineffective repletion of host tissue, despite adequate nutritional support. Mediators of cancer anorexia and associated abnormalities are unknown. Cannabinoids in the treatment of the cachexia-anorexia syndrome in palliative care patients. Loss of appetite and cachexia are frequent symptoms in palliative care patients. However, therapeutic regimens often prove ineffective, and the quality of life of many patients is significantly impaired by these symptoms. Causes and pathophysiology of anorexia and cachexia are complex and must be identified and treated. Symptomatic pharmacological therapy aims at metabolic, neuroendocrinological and catabolic changes. Prokinetic drugs, corticosteroids and gestagenes are used for symptomatic therapy. Recently, the use of cannabinoids for treatment of loss of appetite and cachexia has become the focus of interest. In cancer patients, cannabinoids proved more effective than placebo but less than gestagenes. Compared to placebo, higher efficacy of cannabinoids could be demonstrated in patients with AIDS as well as in patients with Morbus Alzheimer. However, side effects, such as dizziness, tiredness and daze led to discontinuation of the cannabinoid therapy in some patients. Anorexia and cachexia are diagnosed in more than two-thirds of all cancer patients with advanced disease, and are independent risk factors for morbidity and mortality. Anorexia, nausea and vomiting often are described as more significant inhibiting factors for quality of life of cancer patients than even intense pain. In 1986, delta-9-tetrahydrocannabinol (THC), the main effective constituent of cannabis, was licensed as an anti-emetic drug in cancer patients receiving chemotherapy. In addition, in clinical studies THC has shown significant stimulation of appetite and increase of body weight in HIV-positive and cancer patients. The appetite-stimulating effect of cannabis itself has also been well documented in many anecdotal cases. There are strong indications that cannabis is better tolerated than THC alone, because cannabis contains several additional cannabinoids, like cannabidiol (CBD), which antagonize the psychotropic actions of THC, but do not inhibit the appetite-stimulating effect. Therefore, we intend to compare the therapeutic effects of whole-plant extracts of cannabis to those of THC (dronabinol) alone in controlled studies. Cannabinoids are components isolated from Cannabis sativa and Cannabis indica plants (hemp). The antiemetic efficacy of cannabis in chemotherapy-induced nausea/vomiting has been established in a systematic review. The use of cannabinoids for anorexia-cachexia-syndrome in advanced cancer is not supported by the evidence from randomised controlled trials. Several randomised controlled trials indicate a mild analgesic effect of cannabinoids in cancer patients. Dose-limitating central nervous and cardiovascular adverse effects have frequently been observed in clinical studies. Cannabinoids are components isolated from Cannabis sativa and Cannabis indica plants (hemp). 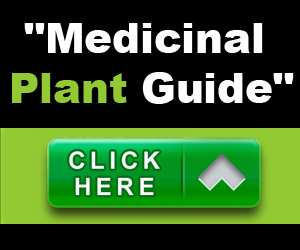 This summary deals with cannabinoid products for medical use. Medical cannabinoids are claimed to alleviate nausea and vomiting in chemo-/radiotherapy and in palliative care. They are also recommended for the treatment of anorexia and cachexia in patients with advanced cancer and for the control of chronic tumor pain. The pharmacokinetics of cannabinoids have been intensively investigated and cannabinoid effects in humans have been linked to their agonist activity at two cannabinoid receptors. The antiemetic efficacy of cannabinoids in chemotherapy-induced nausea/vomiting has been established in a systematic review. If cannabinoids can offer improvements over modern antiemetic medication, especially serotonin antagonists, in preventing acute or delayed chemotherapy induced nausea and vomiting is still unclear. Only anecdotal evidence is available to support the use of medical cannabinoids against radiotherapy-related nausea and nausea in palliative care patients. Several randomised controlled trials also indicate a mild analgesic effect of cannabinoids in cancer patients. Insufficient evidence is available to support the introduction of cannabinoids into widespread clinical use as analgesics. The main limitation of cannabinoids is seen in the high frequency of serious adverse effects on the central nervous system and the cardiovascular system. Known absolute and relative contraindications and pharmacological interactions should be carefully considered. Medical cannabinoids are subject to country-specific prohibitory legislation. Considering the availability of well-investigated and established medications for chemotherapy-induced nausea and chronic pain, a first-line use of medical cannabinoids is not recommended. Medical cannabinoids might be beneficial in individual cases as adjuncts to other antiemetic or analgesic medication when standard treatment fails in symptom control. Potential hazards and toxicities should be considered. Fifty-five patients harboring a variety of neoplasms and previously found to have severe nausea or emesis from antitumor drugs were given antiemetic prophylaxis in a double-blind, randomized crossover fashion. Delta 9-Tetrahydrocannabinol (THC), prochlorperazine, and placebo were compared. Nausea was absent in 40 of 55 patients receiving THC, in 8 of 55 patients receiving prochlorperazine, and in 5 of 55 in the placebo group. THC appeared to be more efficacious in controlling the emesis associated with cyclophosphamide, 5-fluorouracil, and doxorubicin and less so for nitrogen mustard and the nitrosourea. THC appears to offer significant control of nausea in most patients and exceeds by far that provided by prochlorperazine . This work was supported by a grant 'Giovani Ricercatori', University of Bologna and in part by Fondazione Cassa di Risparmio, Bologna, Italy. The ability of Cannabis sativa (marijuana) to increase hunger has been noticed for centuries, although intensive research on its molecular mode of action started only after the characterization of its main psychoactive component 9-tetrahydrocannabinol in the late 1960s. Despite the public concern related to the abuse of marijuana and its derivatives, scientific studies have pointed to the therapeutic potentials of cannabinoid compounds and have highlighted their ability to stimulate appetite, especially for sweet and palatable food. Later, the discovery of specific receptors and their endogenous ligands (endocannabinoids) suggested the existence of an endogenous cannabinoid system, providing a physiological basis for biological effects induced by marijuana and other cannabinoids. Epidemiological reports describing the appetite-stimulating properties of cannabinoids and the recent insights into the molecular mechanisms underlying cannabinoid action have proposed a central role of the cannabinoid system in obesity. The aim of this review is to provide an extensive overview on the role of this neuromodulatory system in feeding behavior by summarizing the most relevant data obtained from human and animal studies and by elucidating the interactions of the cannabinoid system with the most important neuronal networks and metabolic pathways involved in the control of food intake. Finally, a critical evaluation of future potential therapeutical applications of cannabinoid antagonists in the therapy of obesity and eating disorders will be discussed. Cannabis sativa has been cultivated for more than 5000 y both to obtain fibers for manufacturing of textiles and to provide a variety of extracts for medicinal and recreational use. To the present, marijuana and other psychoactive derivatives of Cannabis sativa represent the most widely illegal drug consumed in the Western world. However, despite the social problems related to the abuse of these substances, scientific and social communities have recently started to be aware of the therapeutic potentials of cannabinoids and of new synthetic compounds interfering with the endogenous cannabinoid system. Since 300 AD, it was observed that Cannabis can stimulate hunger and increase appetite, particularly for sweet and palatable food. However, only a few years ago this phenomenon was seriously taken into consideration in research. After the discovery of cannabinoid receptors and their endogenous ligands (endocannabinoids), the existence of an endogenous cannabinoid system has been proposed, providing a physiological basis for the biological effects induced by marijuana and its derivatives. The importance of this system is also underlined by the finding of a high degree of evolutionary conservation across species, emphasizing the fundamental physiological role played by cannabinoids in brain function. Cannabinoid research was largely neglected at the beginning of the 20th century, partly because of the political antimarijuana attitude, which officially started in the United States with the Harrison Act in 1914, leading to full prohibition 20 years later. During the 1960s, the sudden increase of the recreational use of Cannabis stimulated the public concern about its negative effects on the health of the consumers. On the other hand, this renewed interest initiated a series of scientific investigations into the numerous chemical constituents of Cannabis and their mechanisms of action, finally leading to the identification of the structure of 9-tetrahydrocannabinol ( 9-THC), the main psychoactive ingredient of marijuana. However, the definitive breakthrough concerning the importance of this system was given by the discovery of cannabinoid receptors and their endogenous ligands. In 1990, the first cannabinoid receptor (CB1) was cloned, followed 3 y later by the characterization of a second cannabinoid receptor (CB2). Cannabinoid receptors belong to the G protein-coupled receptor superfamily and, to the present, include CB1, CB2 and a splice variant of the CB1 (for a review see Howlett et al). There is important pharmacological and physiological evidence suggesting the existence of other cannabinoid receptor subtypes that have not yet been cloned. Typically, the activation of cannabinoid receptors modulates adenylate-cyclase, potassium and calcium channels and signal-regulated kinases. Moreover, cannabinoid receptors are able to crosstalk with other neurotransmitter receptor systems, for example, recruiting by this way other intracellular signal transduction pathways. Given its wide distribution in the central nervous system (CNS) CB1 was considered as the 'brain-type' cannabinoid receptor, whereas CB2, mainly expressed in immune cells, was considered as its 'peripheral' counterpart. However, this classification does not hold true anymore as many studies show expression of CB1 also in peripheral tissues. On the other hand, CB2 was also localized in brain-derived immune cells. In the CNS, CB1 is predominantly expressed presynaptically, modulating the release of neurotransmitters, including -aminobutyric acid (GABA), dopamine, noradrenaline, glutamate and serotonin. 9-THC-mediated behavioral effects include ataxia, analgesia, hypothermia, euphoria, short-term memory deficits and other cognitive impairments. They are mediated by CB1 as suggested by the expression of this receptor in brain areas implicated in these functions and by the lack of these effects in CB1-deficient mice. The presence of specific receptors mediating the actions of marijuana and its derivatives strongly stimulated the search for endogenous ligands for cannabinoid receptors. The first endogenous cannabinoid, arachidonoyl ethanolamide, was identified from the porcine brain in 1992 and was named anandamide, from the Sanskrit word 'ananda' that means internal bliss. Anandamide is able to reproduce most of the typical behavioral effects of 9-THC in rodents and shares the same G protein-mediated actions on adenylate cyclase and Ca2+ channels with 9-THC (for a review see Di Marzo et al). This substance binds both to CB1 and CB2, with a higher affinity to CB1 and is present at highest concentration in hippocampus, cortex, thalamus and cerebellum of different species including humans. Since the discovery of this ligand, other polyunsaturated fatty acid derivatives, acting as functional agonists of cannabinoid receptors, have been characterized and collectively termed endocannabinoids. As an example, Noladin ether is the most recent ether-type endocannabinoid identified only 1 y ago. Among these compounds, 2-arachidonoylglycerol (2-AG), identified in canine gut in a search for endogenous ligands selective for CB2, displays a lower affinity for CB1; nevertheless, it represents the most abundant endocannabinoid in the brain. In contrast to classical neurotransmitters, endocannabinoids do not appear to be stored in the interior of synaptic vesicles, because of the high lipophilicity of these ligands. In fact, phospholipid molecules within the cellular membrane were shown to serve as precursors and storage depots for anandamide synthesis. Anandamide is produced from such membrane phospholipids (eg N-arachidonoyl phosphatidyl ethanolamine), after cleavage of the phosphodiester bond by an as-yet-unidentified phospholipase D that is activated by Ca2+ ions. Endocannabinoids, like 'classical' neurotransmitters, are released from neurons following membrane depolarization and Ca2+ influx into the cells, are inactivated by a reuptake mechanism, involving facilitated transport by an as-yet-unisolated anandamide membrane transporter, and hydrolyzed by the enzyme fatty acid amide hydrolase in neurons and astrocytes. Biosynthesis, release and inactivation of anandamide. Anandamide is synthesized from the phospholipase D-catalyzed hydrolysis of the membrane phospholipid precursor N-arachidonoyl phosphatidyl ethanolamine (NArPE) in neurons (1). After synthesis, anandamide is released from neurons through facilitated transport and binds to cannabinoid receptors (CB), leading to biological responses . The same carrier involved in the release, probably also mediates anandamide reuptake by neurons . 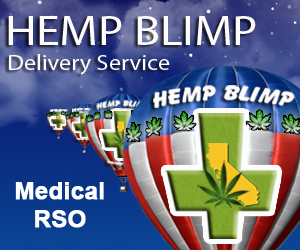 After reuptake, the endocannabinoid is degraded through the action of the membrane-bound enzyme fatty acid amide hydrolase (FAAH) . Arachidonic acid (AA) and ethanolamine, produced from anandamide hydrolysis, are rapidly re-esterified to membrane phospholipids. Recently, it has been shown that monoglyceride lipase (MGL) participates in 2-AG inactivation. The hydrolysis by means of MGL seems to be a primary mechanism for 2-AG degradation in neurons. The biochemical characteristics of anandamide and other endocannabinoids and their mode of release upon demand emphasize the notion that endocannabinoids may act primarily as neuromodulatory substances, in a different way as compared with 'classical' neurotransmitters. In recent years, several synthetic and plant-derived cannabinoids have been characterized. They exhibit different affinities and potencies in activating cannabinoid receptors. Owing to the chemical structures, these substances are divided into four major classes The first group includes the 'classical' cannabinoids and is composed of substances containing a like-3-ring structure. The cannabinoids from Cannabis plants (more than 60 different compounds, including 9-THC, 8-THC, cannabinol and cannabidiol) and several synthetic compounds synthesized at the Hebrew University in Israel, named HU, are members of this group. Among these substances, HU-210 induces the effects typical for cannabinoids most potently. The second group includes the so-called 'nonclassical' cannabinoids and comprises bi- and tricyclic analogs of 9-THC such as CP-55,940. The third group comprises compounds named aminoalkylindols. The most representative member of this class is WIN-55,212, a CB1 agonist widely used in experimental models. The fourth group is represented by the endocannabinoids that are able to bind to cannabinoid receptors and to mimic the effects of plant-derived and synthetic cannabinoids. Remarkably, they are structurally not related to 9-THC. Pharmacological investigations have put emphasis on the generation of substances acting as specific antagonist of cannabinoid receptors. Among the increasing number of compounds sharing antagonistic properties, SR 141716Aand AM 281, highly specific for CB1, SR 144528, a CB2-selective antagonist, and AM630, that binds to both CB1 and CB2, are the most widespread substances. However, all these compounds are considered as 'inverse agonist' rather than pure antagonists. Whereas antagonists are able to block the activation induced by the stimulus of an agonist, an inverse agonist has the ability to decrease the constitutive level of receptor activation in the absence of an agonist. Studies with cannabinoid receptor antagonists indicate that there might be a continuous level of signaling by both CB1 and CB2 in the absence of an agonist and that the chronic use of substances such as SR 141716A increases CB1 protein levels on the cell membrane and sensitize it towards agonist action. Although not acting as ligands of cannabinoid receptors, inhibitors of cellular uptake of endocannabinoids, such as AM404, VDM11and UCM707 provide another interesting class of drugs interfering with the endogenous cannabinoid system. Given the 'upon demand' nature of synthesis and release of endocannabinoids, these drugs might allow to induce a targeted increase in the concentration of endogenous cannabinoids, possibly reducing some of the undesirable side effects observed when using receptor agonists. The endogenous cannabinoid system, comprising specific receptors, endogenous ligands and degradation enzymes for the ligands, seems to act as a neuromodulatory system, influencing the activity of other neurotransmitter systems. A plethora of effects is attributed to the action of cannabinoids. Cannabinoids and concomitant CB1 activation are involved in antinociception, in control of movement and in inhibition of short-term memory. The cannabinoid system has an important role in the regulation of hormone secretion, not only through a primary action on the hypothalamus, but also by a direct action on the pituitary gland. Expression of CB1 and the synthesis of endocannabinoids in human pituitary cells and the ability of cannabinoids to inhibit prolactin and growth hormone secretion and to increase adrenocorticotropin (ACTH) secretion were recently described. The ability to modulate the hypothalamus–pituitary–adrenal axis and the involvement in the stress-response are supported by a number of studies in which cannabinoid agonists were shown to produce anxiolytic effects in a dose-dependent manner. Moreover, the cannabinoid system is able to modulate immune and inflammatory responses and various physiological functions, such as cardiovascular (inducing changes in heart rate and output, and vasodilatation), respiratory (provoking hyper- or hypoventilation and bronchodilation), reproductive (inhibiting testosterone secretion and determining anovulation and uterus relaxation) and ocular (decreasing intraocular pressure) function. Other fascinating properties of cannabinoids are represented by the antitumoral activity. This ability was already proposed in the 1970s and recently, striking data were presented by in vitro and in vivo studies for different types of tumors. Moreover, cannabinoids seem to exert neuroprotective roles. In fact, endocannabinoids may protect neurons from hypoxic and traumatic injury and may represent an endogenous neuroprotective system. In conclusion, in addition to the role as modulator of the food intake, the cannabinoid system is involved in several physiological functions and might be related to a general stress-recovery system. Such a variety of effects was concisely summarized by a recent statement by Di Marzo et al: 'Feel less pain, control your movement, relax, eat, forget, sleep and protect'. The activation of the endogenous cannabinoid system could represent a crucial and important component for each of these functions. As far back as 300 AD, marijuana was recommended in India to treat loss of appetite. During the 19th century, physicians mentioned the increased stimulation of appetite following Cannabis use. The first protocol committed to study the effect of marijuana on food intake was performed by a military committee in 1933. Soldiers using this drug were described to feel hungry, eating much more than control subjects. Further studies focussing on the effect of marijuana and of synthetic derivatives on healthy subjects, confirmed the appetite stimulating properties of this drug (reviewed in Abel. Interestingly, in nearly all of these studies, greater quantities of food were eaten by the subjects when feeling 'high'. Moreover, subjects had a prevalence in eating sweet and tasty foods and a tendency to eat voraciously even when the feeling of hunger had vanished. However, these early investigations were characterized by lack of scientific thoroughness, because no standardization of dose was used and no stringent criteria of randomization of the patient recruitment were defined. Thus, not until 1971, a first study on the effect of marijuana was conducted on a strict scientific basis. In these experiments, the acute effect of oral doses of Cannabis extracts that were standardized for 9-THC contents was monitored in normal young volunteers in fasted or fed conditions. In both conditions, a trend of greater food intake (milkshakes) following ingestion of marijuana as compared to placebo was described. However, this trend was significant only in fed subjects. In another study, in adult volunteer subjects, a clear confirmation of the increased desire for food (marshmallows) in subjects smoking marijuana was found. Unfortunately, no quantification of the amount of marijuana inhaled by the subjects was given in this study. Interestingly, a few years later, another study revealed a different effect on appetite after having monitored the 9-THC content in marijuana cigarettes. In fact, higher doses caused an initial decrease in food intake followed by a subsequent increase, whereas lower doses caused only appetite stimulation. In agreement with this, ancient Indian texts reported the use of Cannabis by ascetics and Indian mendicants to overcome the sensation of hunger. This effect might be explained by different potencies of Cannabis preparations. The weak preparation ('bhang') acts as a stimulant, while the potent preparations ('ganja', 'charas') inhibit appetite. This series of studies, which showed a variable potency of cannabinoids, either stimulating or inhibiting food intake depending on the preparation or dose used, were all performed by acute treatments of Cannabis. However, experiments in which chronic treatments were applied were able to demonstrate that smoked marijuana significantly increased the mean daily caloric intake in humans. In the first systematic study, Greenberg et alstudied, under research ward conditions for 1 month, long-term body weight change and energy intake in marijuana smokers, using marijuana cigarettes containing approximately 20% of 9-THC. An increase of body weight and energy intake was observed during the first days. After this period, body weight continued to rise despite of the stabilization of energy intake and, during a 5-day post-drug phase, body weight and energy intake decreased significantly. Subsequently, in 1986, Foltin et alstudied the effect of smoked marijuana on feeding in a group of healthy subjects in a residential laboratory for periods up to 4 weeks. Each test day comprised three phases: a private work period, a performance task and a period of social access. The daily food intake, in comparison to placebo conditions, significantly increased with the marijuana treatment. Interestingly, the overconsumption of food primarily occurred during periods of social access. Noticing that the recreational use of Cannabis commonly is in a social group rather than in isolation, the stimulating effect on appetite might also be dependent on social facilitation and environmental familiarity. After 2 y, the effects of smoked marijuana on the intake of different foods were tested. Subjects were provided with a wide variety of different food items having the possibility to get free access to them. The drug increased the total food intake and, specifically, increased the consumption of sweeties, suggesting an interaction between the effect of the drug and the palatability of the food. Another investigation confirmed this notion showing that different routes of 9-THC administration (oral, smoke inhalation or suppository) induced an effect on food selection. More controlled studies are clearly required to determine how the motivation to eat is affected by cannabinoids and to establish whether overconsumption is a phenomenon involving any kind of foods or whether it is specifically related to particular taste modalities or specific foods. However, this selective action on food choice was confirmed in a number of animal studies, where a potential role of cannabinoids in modulating the interaction of different pathways involved in the brain 'reward' system was hypothesized. Despite the limitations of the human studies discussed above, the stimulating effect on appetite observed in healthy subjects suggested to assess the utility of cannabinoid treatment of clinical syndromes featured by appetite or weight loss, such as cancer or AIDS-associated anorexia. Moreover, the antiemetic effect of 9-THC and other components of marijuana with reduced psychotropic actions (ie 8-THC) represents a possible additional benefit to limit nausea and vomiting symptoms often associated with most of the chemotherapeutic drugs. Anorexia and cachexia are diagnosed in the majority of cancer patients with advanced disease and are independent risk factors for morbidity and mortality, affecting response to chemotherapy and duration of survival. In the 1970s, orally administered 9-THC to cancer patients under treatment with chemotherapeutic drugs, was reported to possess antiemetic properties. Another study investigated the effects of 9-THC in 54 patients with advanced cancer in a crossover study and found significant weight gain under 9-THC treatment as compared to the weight loss under placebo treatment. At the lowest 9-THC dose, there was almost complete absence of subjective euphoria, a symptom commonly associated with the compound, and a few side effects, such as somnolence, dizziness and disassociation, were reported only in 25% of the patients. In 1985, the use of 9-THC was approved in the United States by the Food and Drug Administration (FDA), and the compound named Dronabinol was first officially admitted for the oncological treatment of chemotherapy-induced nausea and vomiting refractory to other agents, and in 1992, the same drug has also been proposed for the treatment of patients with HIV-induced wasting syndrome. Many studies have documented that this drug is extremely safe with no fatal events and mild or moderate side effects, such as sedation and psychotropic symptoms. Moreover, the mild symptoms have been shown to resolve within hours after discontinuation of therapy. In all studies concerning Dronabinol administration in HIV patients, a noticeable stimulating effect of the drug on appetite was demonstrated. The administration of 5 mg of Dronabinol (twice/day) before meals was able to mildly increase appetite, energy intake and body weight together with a significant gain in body fat and with a marked improvement in patients' mood. A further confirmation was given by a study in which Dronabinol was administered to 88 AIDS patients for 6 weeks. Stabilization of the weight or a modest weight gain were the most successful results obtained. These results were later confirmed by a follow-up study involving 94 AIDS patients in which Dronabinol was daily administered for 12 months. Positive effects of Dronabinol in improving body weight were recently described in patients suffering from Alzheimer's disease. There is still some controversy, as the exact mechanisms of action of this drug have not yet been completely clarified. In addition, there is a substantial ethical impediment to fully accept the psychotropic actions of this substance. Finally, it is still unclear why smoked marijuana is better tolerated and favored by the patients in comparison to the oral administration of the principal component of marijuana as 9-THC. One hypothesis is that marijuana contains several other cannabinoids, such as cannabidiol, which might attenuate the psychotropic effect of 9-THC. Altogether, the wide discussion in the media and in the scientific communities regarding this topic underlines the importance not only for the medical aspects but also for the social implications of this issue. Research shows medical marijuana has many beneficial properties, many of which can help with symptoms and treatment of cachexia and cancer cachexia. Cannabinoids can be substituted for pharmaceuticals and/or used as adjunctive medicine. 2. Rapini, Ronald P.; Bolognia, Jean L.; Jorizzo, Joseph L. (2007). Dermatology: 2-Volume Set. St. Louis: Mosby. pp. 1169. ISBN 1-4160-2999-0. 3. Lainscak M, Podbregar M, Anker SD (December 2007). "How does cachexia influence survival in cancer, heart failure and other chronic diseases?". Curr Opin Support Palliat Care 1 (4): 299–305. doi:10.1097/SPC.0b013e3282f31667. PMID 18685379. 4. Bossola M, Pacelli F, Doglietto GB (August 2007). "Novel treatments for cancer cachexia". Expert Opin Investig Drugs 16 (8): 1241–53. doi:10.1517/13543784.16.8.1241. PMID 17685872. http://www.expertopin.com/doi/abs/10.1517/13543784.16.8.1241. 5. Beck, Ivan T.; Bjertnaes, L (August 1964). "Treatment of Malabsorbtion Syndrome". Canadian Medical Association Journal 91 (6): 301–302. PMID 1927227. 6. Garcia J.M., Garcia-Touza M., Hijazi R.A., Taffet G., Epner D., Mann D., Smith R.G., Cunningham G.R., Marcelli M. (May 2005). "Active ghrelin levels and active to total ghrelin ratio in cancer-induced cachexia". J. Clin. Endocrinol. Metab. 90 (5): 2920–6. doi:10.1210/jc.2004-1788. PMID 15713718. http://jcem.endojournals.org/cgi/pmidlookup?view=long&pmid=15713718. 7. a b Gagnon B, Bruera E (May 1998). "A review of the drug treatment of cachexia associated with cancer". Drugs 55 (5): 675–88. doi:10.2165/00003495-199855050-00005. PMID 9585863. 8. Yavuzsen T., Davis M.P., Walsh D., LeGrand S., Lagman R. (November 2005). "Systematic review of the treatment of cancer-associated anorexia and weight loss". J. Clin. Oncol. 23 (33): 8500–11. doi:10.1200/JCO.2005.01.8010. PMID 16293879. 9. Colomer R., Moreno-Nogueira J.M., García-Luna PP, et al. (May 2007). "N-3 fatty acids, cancer and cachexia: a systematic review of the literature". Br. J. Nutr. 97 (5): 823–31. doi:10.1017/S000711450765795X. PMID 17408522. 10. Ryan A.M., Reynolds J.V., Healy L, et al. (2009). "Enteral nutrition enriched with eicosapentaenoic acid (EPA) preserves lean body mass following esophageal cancer surgery: results of a double-blinded randomized controlled trial". Ann. Surg. 249 (3): 355–63. doi:10.1097/SLA.0b013e31819a4789. PMID 19247018. 11. J.R. Rigas et al (June 2010). [http:// http://www.asco.org/ASCOv2/Meetings/Abstracts?&vmview=abst_detail_view&confID=74&abstractID=50646 "Affect of ALD518, a humanized anti-IL-6 antibody, on lean body mass loss and symptoms in patients with advanced non-small cell lung cancer (NSCLC): Results of a phase II randomized, double-blind safety and efficacy trial"]. J Clin Oncol 28 (1534). http:// http://www.asco.org/ASCOv2/Meetings/Abstracts?&vmview=abst_detail_view&confID=74&abstractID=50646. 12. M.S. Steiner et al (June 2010). "Effect of GTx-024, a selective androgen receptor modulator (SARM), on stair climb performance and quality of life (QOL) in patients with cancer cachexia". J Clin Oncol 28 (1534). http://www.asco.org/ASCOv2/Meetings/Abstracts?&vmview=abst_detail_view&confID=74&abstractID=52947. 13. G.S. Bhattacharyya et al (June 2010). "Phase II study evaluating safety and efficacy of coadministering propranolol and etodolac for treating cancer cachexia". J Clin Oncol 28 (1534). http://www.asco.org/ASCOv2/Meetings/Abstracts?&vmview=abst_detail_view&confID=74&abstractID=49474. 14. Kung T et al (April 2010). "Novel treatment approaches to cachexia and sarcopenia: highlights from the 5th Cachexia Conference". Expert Opin Investig Drugs 19 (4): 579–585. doi:10.1517/13543781003724690. PMID 20367196. 15. Zhou, Xiaolan; Wang, Jin Lin; Lu, John; Song, Yanping; Kwak, Keith S.; Jiao, Qingsheng; Rosenfeld, Robert; Chen, Qing; Boone, Thomas; Simonet, W. Scott; Lacey, David L.; Goldberg, Alfred L.; Han, H.Q. (2010). "Reversal of Cancer Cachexia and Muscle Wasting by ActRIIB Antagonism Leads to Prolonged Survival". Cell 142 (4): 531–43. doi:10.1016/j.cell.2010.07.011. PMID 20723755. 27. Howlett AC, Johnson MR, Melvin LS. Classical and nonclassical cannabinoids: mechanism of action-brain binding. NIDA Res Monogr 1990; 96: 100–111. 29. Lan R, Gatley J, Lu Q, Fan P, Fernando SR, Volkow ND, Pertwee R, Makriyannis A. Design and synthesis of the CB1 selective cannabinoid antagonist AM281: a potential human SPECT ligand. AAPS Pharm Sci 1999; 1: E4. 31. Landsman RS, Makriyannis A, Deng H, Consroe P, Roeske WR, Yamamura HI. AM630 is an inverse agonist at the human cannabinoid CB1 receptor. Life Sci 1998; 62: L109–L113. 39. Beilin M, Neumann R, Belkin M, Green K, Bar-Ilan A. Pharmacology of the intraocular pressure (IOP) lowering effect of systemic dexanabinol (HU-211), a non-psychotropic cannabinoid. J Ocul Pharmacol Ther 2000; 16: 217–230. 48. Siler JF, Sheep WL, Bates LB, Clark GF, Cook GW, Smith WH. Marihuana smoking in Panama. Mil Surg 1933; 73: 269–280. 50. Haines L, Green W. Marijuana use patterns. Br J Addict Alcohol Other Drugs 1970; 65 : 347–362. 51. Hollister LE. Hunger and appetite after single doses of marihuana, alcohol, and dextroamphetamine. Clin Pharmacol Ther 1971; 12: 44–49. 53. Gagnon MA, Elie R. Effects of marijuana and D-amphetamine on the appetite, food consumption and various cardio-respiratory variables in man. Union Med Can 1975; 104: 914–921. 54. Chopra RN, Chopra GS. The present position of hemp-drug addiction in India. Ind Med Res Mem 1939; 31: 1–119. 55. Greenberg I, Kuehnle J, Mendelson JH, Bernstein JG. Effects of marihuana use on body weight and caloric intake in humans. Psychopharmacology (Berl) 1976; 49: 79–84. 56. Foltin RW, Brady JV, Fischman MW. Behavioral analysis of marijuana effects on food intake in humans. Pharmacol Biochem Behav 1986; 25: 577–582. 58. Mattes RD, Engelman K, Shaw LM, Elsohly MA. Cannabinoids and appetite stimulation. Pharmacol Biochem Behav 1994; 49: 187–195. 62. Gorter RW. Cancer cachexia and cannabinoids. Forsch Komplementarmed 1999; 6 (Suppl 3): 21–22. 64. Gralla RJ. Cannabinoids and the control of chemotherapy-induced nausea and vomiting. In: Nahas GG, Sutin KM, Harvey DJ, Agurell S (eds). Marihuana and medicine. Humana Press: Totowa, NJ; 1999. pp 599–610. 65. Lanzotti VJ, Thomas DR, Boyle LE, Smith TL, Gehan EA, Samuels ML. Survival with inoperable lung cancer: an integration of prognostic variables based on simple clinical criteria. Cancer 1977; 39: 303–313. 66. Sallan SE, Zinberg NE, Frei III E. Antiemetic effect of delta-9-tetrahydrocannabinol in patients receiving cancer chemotherapy. N Engl J Med 1975; 293: 795–797. 67. Regelson W, Thomas DR, Boyle LE, Smith TL, Gehan EA, Samuels ML. 9-Tetrahydrocannabinol as an effective antidepressant and appetite-stimulating agent in advanced cancer patients. In: Brande MC, Szara S (eds). The pharmacology of marijuana. Raven Press: New York; 1976. pp 763–776. 68. Plasse TF, Gorter RW, Krasnow SH, Lane M, Shepard KV, Wadleigh RG. Recent clinical experience with dronabinol. Pharmacol Biochem Behav 1991; 40: 695–700. 72. Volicer L, Stelly M, Morris J, McLaughlin J, Volicer BJ. Effects of dronabinol on anorexia and disturbed behavior in patients with Alzheimer's disease. Int J Geriatr Psychiatry 1997; 12: 913–919. 73. Carlini EA, Kramer C. Effects of Cannabis sativa (marihuana) on maze performance of the rat. Psychopharmacologia 1965; 7: 175–181. 74. Dewey WL, Harris LS, Kennedy JS. Some pharmacological and toxicological effects of 1-trans- 8 and 1-trans- 9 -tetrahydrocannabinol in laboratory rodents. Arch Int Pharmacodyn Ther 1972; 196: 133–145. 75. Thompson GR, Fleischman RW, Rosenkrantz H, Braude MC. Oral and intravenous toxicity of delta9-tetrahydrocannabinol in rhesus monkeys. Toxicol Appl Pharmacol 1974; 27: 648–665. 77. Sjoden PO, Jarbe TU, Henriksson BG. Influence of tetrahydrocannabinols (delta8-THC and delta9-THC) on body weight, food, and water intake in rats. Pharmacol Biochem Behav 1973; 1: 395–399. 78. Fernandes M, Schabarek A, Coper H, Hill R. Modification of delta9-THC-actions by cannabinol and cannabidiol in the rat. Psychopharmacologia 1974; 38: 329–338. 79. Sofia RD, Barry III H. Acute and chronic effects of delta9-tetrahydrocannabinol on food intake by rats. Psychopharmacologia 1974; 39: 213–222. 80. Brown JE, Kassouny M, Cross JK. Kinetic studies of food intake and sucrose solution preference by rats treated with low doses of delta9-tetrahydrocannabinol. Behav Biol 1977; 20: 104–110. 81. McLaughlin CL, Baile CA, Bender PE. Cannabinols and feeding in sheep. Psychopharmacology (Berl) 1979; 64: 321–323. 82. Van Den Broek GW, Robertson J, Keim DA, Baile CA. Feeding and depression of abomasal secretion in sheep elicited by elfazepam and 9-aza-cannabinol. Pharmacol Biochem Behav 1979; 11: 51–56. 85. Trojniar W, Wise RA. Facilitory effect of delta 9-tetrahydrocannabinol on hypothalamically induced feeding. Psychopharmacology (Berl) 1991; 103: 172–176. 101. Kunos G, Batkai S. Novel physiologic functions of endocannabinoids as revealed through the use of mutant mice. Neurochem Res 2001; 26: 1015–1021. 113. Cooper SJ, Kirkham TC. Opioid mechanisms in the control of food consumption and taste preferences. In: Herz A, Akil H, Simon EJ (eds.) Handbook of experimental pharmacology. Springer-Verlag: Berlin; 1993. pp 239–263. 118. Wiesenfeld-Hallin Z, de Arauja LG, Alster P, Xu XJ, Hokfelt T. Cholecystokinin/opioid interactions. Brain Res 1999; 848: 78–89. 122. Dhillo WS, Bloom SR. Hypothalamic peptides as drug targets for obesity. Curr Opin Pharmacol 2001; 1: 651–655. 249. © 2011 Nature Publishing Group, a division of Macmillan Publishers Limited. All Rights Reserved.